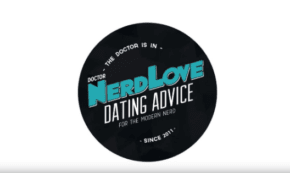 Ask Dr. NerdLove: How Do I Let Go of An Old Flame? Just as important is that you need to recognize that this version of her you have in your mind right now doesn’t actually exist. You’ve put her on this pedestal and, in a way, invalidated her humanity. You’ve created this supernatural being in the place of a woman who farts, stubs her toe and gets zits, just like you do. Once I started dating, I told myself I wasn't looking for anything serious or complicated. Once I started dating, I told myself I wasn’t looking for anything serious or complicated. In the midst of divorce, Steve Axelrod holds out hope that reconnnecting with an old flame may prove to be something more. Here’s to the girl who made me the man I am today. This week Dear John addresses a student/teacher relationship, an eavesdropping boss, and an old flame.